A highly-experienced team has been assembled at the Manufacturing Technology Centre to spearhead a technology revolution to the UK construction and infrastructure sectors. 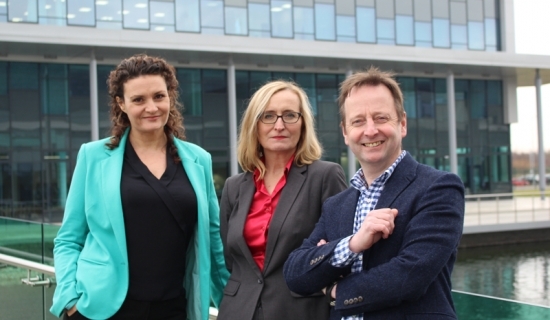 The newly-created team comprises Phill Cartwright, the former chief technology officer at the High Value Manufacturing Catapult; Susan Hone-Brookes, a Chartered Engineer with more than 30 years’ experience and a board member of the Chartered Institution of Building Services Engineers (CIBSE); and Trudi Sully, who prior to joining the MTC was Innovate UK’s relationship manager for the High Value Manufacturing Catapult. The trio will bring vast experience and know-how as the MTC looks to support a significant step-change to the construction and infrastructure sectors. They will be backed by the full support of the MTC Group, including access to its world-leading engineers and state-of-the-art equipment. Under the banner of Working Together: Transforming Construction, the MTC is taking a collaborative approach and looking to bring together major global corporations to jointly oversee a radical shake-up of the industry. The aim is to support the sector in meeting the targets set out in the Government’s Construction 2025 strategy of reduced costs, faster delivery, lower emissions and increased exports. This is echoed in the Government’s National Infrastructure Delivery Plan 2016-2021. The MTC, which has had significant impact developing new technologies and manufacturing systems for a range other sectors including defence, automotive and aerospace, will stress the benefits of adapting technologies like automation, robotics, 3D printing and virtual reality. Hone-Brookes, who joined the MTC from construction giant Laing O’Rourke, said: “Having worked in the construction industry for more than 30 years I am fully aware of its strengths and weaknesses. “The Construction 2025 strategy has set out an ambitious vision for the sector of a 33 per cent reduction in whole life costs, 50 per cent reduction in delivery periods and a 50 per cent improvement in the emission of greenhouse gases. “In addition to that, the Farmer Review, published last year for the Construction Leadership Council, has issued a stern warning calling for the industry to modernise or die. The recommendations include investing in research and development, embracing new technologies, increasing collaboration and ensuring it has a future skilled workforce to meet demands. The MTC already has the support of the UK arm of construction giant Skanska, which joined the MTC last month with a commitment to develop new technologies for the industry. 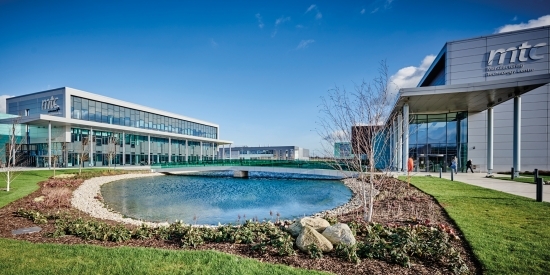 The MTC, which is communicating with a number of other businesses in the sectors, has a growing construction and infrastructure portfolio with Amey, HS2, Autodesk and Forterra all members. Neil Rawlinson, strategic development director at the MTC, said: “We know the challenges that are facing the construction and infrastructure sectors and know we can influence and create change. We have played a vital role inspiring British manufacturing by providing an agile low-risk environment for innovation, producing a future workforce through our apprenticeship scheme and supporting SMEs. We can draw on all of that to deliver solutions for the construction and infrastructure industry from SMEs through to the major organisations. “To help us achieve this, we have brought together Phill, Susan and Trudi who are extremely knowledgeable about the sector and are passionate about seeing it succeed. The Manufacturing Technology Centre (MTC) is inspiring Great British manufacturing globally by developing innovative manufacturing technologies and processes in partnership with industry, academia and other institutions. Founded in 2010, the MTC has some of the most advanced manufacturing equipment in the world enabling it to provide a specialised environment for the development and demonstration of innovation to be used on an industrial scale. A leading proponent of Digitising Manufacturing and home to the National Centre for Additive Manufacturing, the MTC has expertise across a range of technologies. The MTC works collaboratively with companies of all sizes from start-ups to global corporations in diverse industry sectors including aerospace, marine, defence, construction and food and drink. The MTC has 100 industrial members, who play an active role in the steering of the technological path of the organisation. The membership scheme promotes long term relationships, however, the MTC works with any company seeking a manufacturing solution. The MTC is part of the High Value Manufacturing Catapult, which is supported by Innovate UK.